During arresting security officers beat and insulted the activists. After arresting first 15 persons were transferred to the security force detention and from there to Tabriz central prison’s triple section, which is a place for keeping the dangerous criminals, and lacks any kind of facilities. And the rest were transferred to the ministry of intelligence’s custody. For the first 15 people with a strange pace Hasan Hashemzade the magistrate of the fourth branch of Interrogation court in Tabriz formed a case and after Issuing The indictment from the Prosecutor, cases were sent to the first branch of the revolutionary court in Tabriz. This branch presided by Judge “ Hamlbar” Have trialed the defendants very quickly, And all of them for the charge of conspiracy to commit crimes against the security of the community, has been condemned to endure two years of imprisonment, of which 20 months were suspended for 4 years. It is unusual that the investigation for this case from first day of arresting till Sentencing took only 17 days, and this is quite abnormal and unlike the usual procedure in the courts of Iran. This verdict with defendants’ objection had been sent to the fourth branch of “East Azerbaijan Reconsiderations” court and then, with extraordinary speed the sentence was just confirmed with signs of two councilors of the branch, named Michael Khoubyarpour and Abbas Amanzadeh, while according to the law, in the reconsideration courts all cases should be reviewed by at least three judges (one chief and two councilors) but the mentioned branch doesn’t have any chief and constituted by only two councilors. Continuing these illegal behaviors, 5 of these activists named, Gader Norouzi, Farzad Mahdavi Esfanjani, Mohammad Alimoradi, Ali sirnak and Ahmad Alizadeh was beaten badly by 2 of the prison officers, named Jabbari and Sagayi. the severity of beatings was to the extent that Gader Noruzi was unable to walk for one month. This was followed by the complaint of the injuries and their families pursuit of the case. Tabriz Central Prison’s Authorities for one month refused to send the Complainants for Checkup to Forensics . and at the end by pushing and threatening the complaints and their families for consent, and with manipulating and influencing over the judiciary by the assistant supervisor of prison Gader Najari and head of the prison, Mr. Qeysar Nejad case discussed was announced closed and Beaters remained in their positions without any disciplinary or criminal penalties. Without any special reason or evidence the request of these 15 people for Parole (conditional release ) was rejected and they have been deprived from all of prisoners’ rights and benefits. The rest of the arrestees for 1 month were kept in ministry of intelligence’s detention in bad conditions and were being interrogated. Although according to law the officers of this ministry of intelligence in crimes against national security are not allowed to do the Judiciary’s job and they shouldn’t do the primary Investigations. The Interrogations were made in Tabriz’s ministry of intelligence office with eyes shut, the Interrogator stood behind the accused. The Interrogators had no boundaries for entering in personal and private areas of the accused even thought it had nothing to do with what they have been charged about, and by creating all kinds of mental pressures just wanted them to confess. regulative records that are prepared by arrested activists and then, without any reason they built a case and gave several unrealistic allegations to the detainees. This caused to strong protest of sentenced activists and four of them went to hunger strike for several days and they are: Abdollah Sadoughi, Mostafa Avazpour, Mehdi Hamidi Shafiq, Musa Barzin Khalifelou. These allegations consist of: 1- gathering and collusion and conspiracy to commit crimes against the security 2- Propagating against the regime 3Being member of opposition groups to disturb security. After one month they were transferred to Central prison of Tabriz and placed in quarantine section. Because this section is a place to temporarily prisoner’s settlement, it is without any facilities and the level of hygiene is a disaster. By facing of prisoners’ objections these 29 activists with some of the other prisoners who were arrested at street protests were transferred to eighth section of the jail. Also this section has very limited space and doesn’t have the facilities to prisoners so that the average space per prisoner is approximately half a meter. 1Taqi Salahshour : 2 years of imprisonment for the charge of gathering and collusion for commiting crimes against nastional security and 3 monthes and 1 day of imprisonment for the charge of membership in Oppositions against regiem, with the intention of disrupting the security . 2Mehdi Hamidi Shafiq : 2 years of imprisonment for the charge of gathering and collusion for commiting crimes against nastional security and 3 monthes and 1 day of imprisonment for the charge of propagenda against regime . 3Musa Barzin Khalifelou : 2 years of imprisonment for the charge of gathering and collusion for commiting crimes against nastional security and 3 monthes and 1 day of imprisonment for the charge of propagenda against regime . 4Jamshid Zarei : 2 years of imprisonment for the charge of gathering and collusion for commiting crimes against national security. 5Mehdi Nouri : 2 years of imprisonment for the charge of gathering and collusion for commiting crimes against nastional security. 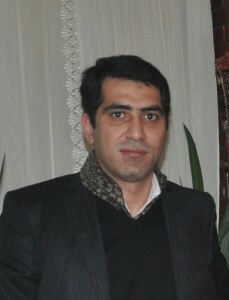 6Vahid Sheykhbayglou : 2 years of imprisonment for the charge of gathering and collusion for commiting crimes against nastional security, of which half was suspended within 5 years. 7Mahmoud Fazli : 2 years of imprisonment for the charge of gathering and collusion for commiting crimes against nastional security, of which half was suspended within 5 years. 8Ali Haj Abulu ( Hasan Ark ) : 2 years of imprisonment for the charge of gathering and collusion for commiting crimes against nastional security, of which half was suspended within 5 years. 9Aziz Pourvali : 2 years of imprisonment for the charge of gathering and collusion for commiting crimes against nastional security, of which half was suspended within 5 years. 10Ahmad Riazi Mobaraki : 2 years of imprisonment for the charge of gathering and collusion for commiting crimes against nastional security, of which half was suspended within 5 years. 11Mostafa Avazpoor : 2 years of imprisonment for the charge of gathering and collusion for commiting crimes against nastional security, of which half was suspended within 5 years. 12Abdollah Saduqi : 2 years of imprisonment for the charge of gathering and collusion for commiting crimes against nastional security, of which half was suspended within 5 years. 13Mohammad Azizi : 2 years of imprisonment for the charge of gathering and collusion for commiting crimes against nastional security, of which half was suspended within 5 years. This unfair and illegal verdict was faced by defendant’s and lawyer’s objections therefore it was referred to sixth branch of reconsideration court of province and moreover some of these activists met some judicial and non-judicial Officials such as members of parliament, and they reported the explore judges and security officers’ illegal treatments and expressed their protest to them. But the head of that branch “ Judge Mohammad Imani” along with his counselor “ Judge Alizadeh” , regardless of their indecent behaviors and repeated insults to defendants and lawyers, neglecting the defenses, with no reasoning and in a short sentence confirmed the verdict. 1arresting without legal permission, against the thirty second principle of the constitution and the twenty-fourth article of the trail law of general and revolution courts about criminal matters and also in contrary to first part of single article of law of respecting for legitimate liberties and protecting civil rights of the citizens. 2Insulting and beating the activists during arrestment by security officer’s, against fourth part of single article of respecting to legitimate liberties and protecting citizenship rights. 3seprating arrested activists’ cases and dividing them to three part on the contrary of judical procidure without any reason. 5Vigorous beating of Ghader Norouzi, Mohammad Alimoradi, Farzad Mahdavi esfanjani, Ali Sirnak and Ahmad Alizadeh. 6referring fourteen arrested activists’ cases to ministry of intelligence’s office by investigator Hasan Hashemzadeh due to basic investigation against article 15 of the law on criminal procedures in general and revolutionary courts, pragraph b of 124th article of fourth economic, social and cultural development law in islamic repoblic of iran, article 14 of islamic republic of Iran’s ministry of information’s stablishment law. 7Interrogation in ministry of intelligence office under illegal conditions such as closing the eyes of accused, Harassment and belittling of accused against parts 6 and 7 of the single article, respecting to legitimate liberties and protecting citizenship rights. 8Entrance and breaking in to private areas of defendants lives, that are not related to accusations and charges by prosecutor Hashem Zadeh and officers of ministry of intelligence’s office. Which is against paragraph 11 of the article about respect for the Legitimate liberties and civil rights of the citizens. 9Inspection of personal stuff and Eavesdropping of their calls without any reason or official permit, against article 104 of the law on Criminal Procedures in General and Revolutionary Courts and paragraph 8 of the article about respect for the Legitimate liberties and civil rights of the citizens. 10giving empathic Questions by the prosecutor Hashem Zadeh against Article 129 of the Law on Criminal Procedures in General and Revolutionary Courts. 11forcing the civil activists to confess , which is against article 38 of Constitution and paragraph 9 0f article about respect for the Legitimate liberties and civil rights and law of Prohibition of torture. 12formation of cases and conviction of the first 15 people with a fast pace in less than 17 days against judicial procedure . 13transferring first 15 people after trial and after the final verdict to the ministry of intelligence without the awareness of Judicial authorities against Article 25 of the Law on Criminal Procedures in General and Revolutionary Courts. 14non-public ( behind the closed doors ) trial of the activists without any special reasons , against article 188 of the Law on Criminal Procedures in General and Revolutionary Courts. 15non-reasonable primary verdict and its appeal , against article 214 of the Law on Criminal Procedures in General and Revolutionary Courts. 16bsence of Attorney general or his representative in trial sessions, against article 22 and paragraph” j “of article 14 of the Law of establishment of general and Revolutionary Courts. 17conflicts between the verdicts , because the charge against the first 15 activists is said to be the presence in the meeting of 24 August for planning for anarchy in Traktorsazi Match but in the verdict of the rest of the activists it is stated, planning for anarchy in the city a few days after the match . 18absence of the possibility of attendance of the crime by the activists , “gathering and collusion for commiting crimes against nastional security” because according to the article 611 of the penalty law, collusion must be done while, The meeting of the 24 August was left unfinished , and no collusion had happened. 19Absence of third judge in 4-th and 6-th branches of Appeal court of East Azerbaijan provience , which were refrences for the appeals of the cases of 29 activists, and establishment of the court with only 2 judges which is against article 20 of law of formation of the general and revolutionary courts.